The estate planning attorney at Longstreet Elder Law and Estate Planning assist clients with estate planning in a non-crisis situation. Financial planners focus on asset accumulation, traditional estate planning attorney focus on death and distribution, drafting documents that primarily serve as tax minimization tools and tools for asset distribution at death, as elder law attorney, we realize that estate planning is not just about what happens to your assets after you pass away. In order for an estate plan to be truly effective, it must address all of the issues, from death and disability to Medicaid and nursing home care. Nursing Home Care – When someone in your family needs the services of a nursing facility, the cost of their residential care will range from $5,000 to $10,000 a month. And statistics tell us that fully 50% of the individuals alive today who are 65 years of age or older will spend some period of their lives needing physical and/or custodial care. We are dedicated to insuring that you will not lose your home and that you will be able to keep the greatest amount permissible by law. Quality of Life – Your estate plan should effectively dictate how you wish to be cared for in the event that you should become incapacitated. We will ensure that your estate planning documents incorporate your particular values - your desire for quality of life, for example - in the event that you or a loved one becomes disabled. Protection from Creditors and Predators – Many of our clients fear that their life’s savings will be lost to creditors or predators. The estate planning attorney at Longstreet Elder Law and Estate Planning work to ensure that your assets are protected from all conceivable threats — not just long-term care expenses. Our elder law attorney provides you with comprehensive estate planning options for assuring the long-term financial security of you and your loved ones. If you would like to know more about your estate planning options, please contact us for a free confidential counseling appointment. Michigan elder law attorney at Longstreet Elder Law and Estate Planning provide assistance in protecting your assets and protecting your family through trusts, wills, Medicaid and estate planning. 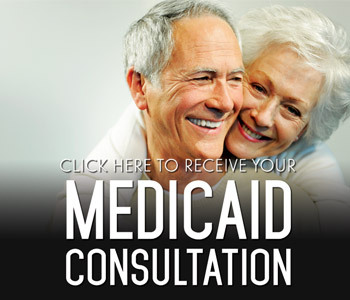 Contact us by calling 269.945.3495 or by requesting a consultation online here.